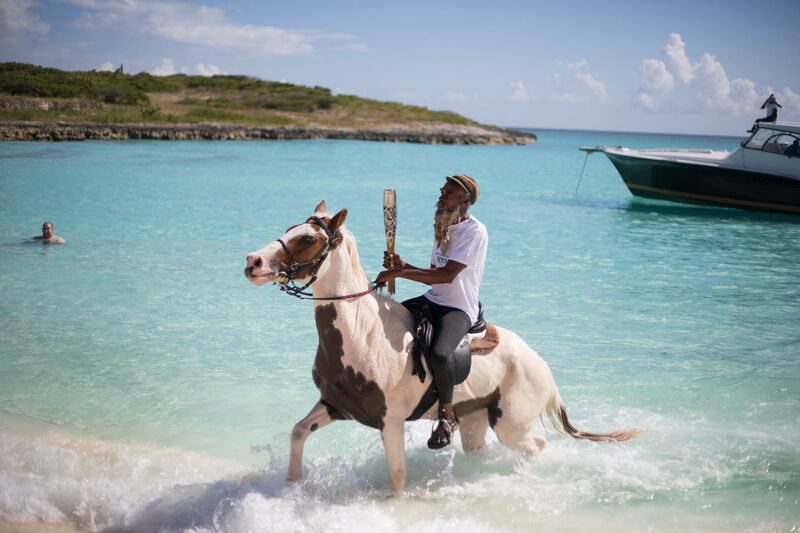 The Queen's Baton,carried on horseback in Maunday's Bay, in Anguilla, Monday 31 March 2014. Anguilla is country number 53 of the 70 nations and territories of the Queen's Baton Relay. Photograph by Jeremy Sutton-Hibbert, copyright © Glasgow 2014 Ltd, 2014.